Hi everyone! Today is the last of our Catburry Bunny Auditions for this year. I saved the most difficult for last. I couldn’t even get the ears on Polar Bear and Noel. I used my mom’s cell phone to take a selfie with this cool Easter Bunny at Michael’s. I wonder if anyone is going to buy it for $275? I am 5’10” so this is a big bunny. 1. 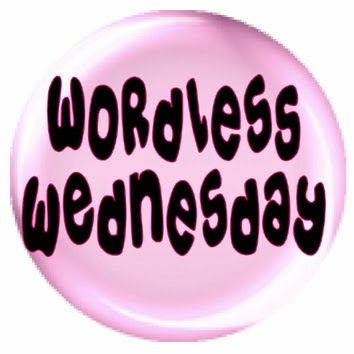 I used to be able to ___________________, but I no longer can. 2. I just can’t seem to _____________________. 4. There’s no use crying over _________. 1. I used to be able to do a backbend,but I no longer can. That ship sailed many years ago. 2. I just can’t seem to give my complete attention to anything. 3. I’m notorious for letting my great niece eat junk food. 4. There’s no use crying over spilled cat food- the cats will clean it up. The A-Z Blogging Challenge, we are up to the letter K. Kidney disease is sadly one of the main killers of kitties. 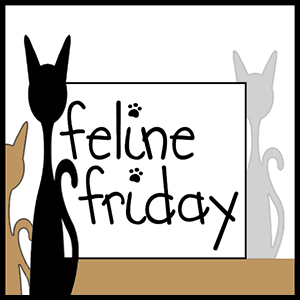 I hope you never need this website, but if your cat is ever diagnosed with kidney disease, I highly recommend Tanya’s Comprehensive Guide to Feline Chronic Kidney Disease. It covers everything you need to know about kidney disease from diet, medicine and so much more. Click Here. Today is J day for the A-Z Blogging Challenge.J is for Jackson Galaxy. If your cat has any type of behavioral problem, I recommend Jackson’s advice. You can see videos on youtube or get his books from the library to save money. Most of you have probably seen his tv show, My Cat From Hell. He really speaks cat and understands why they do what they do. 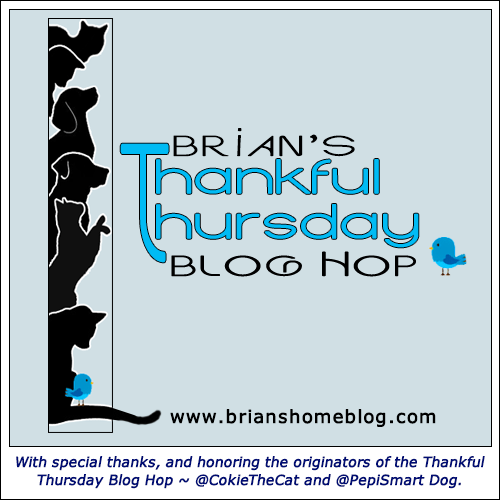 We are also joining Brian’s Thankful Thursday Blog Hop. Trouble is thankful for her new toys. The secretary at my doctor’s office sent them for her when I went for my allergy shot the other day. 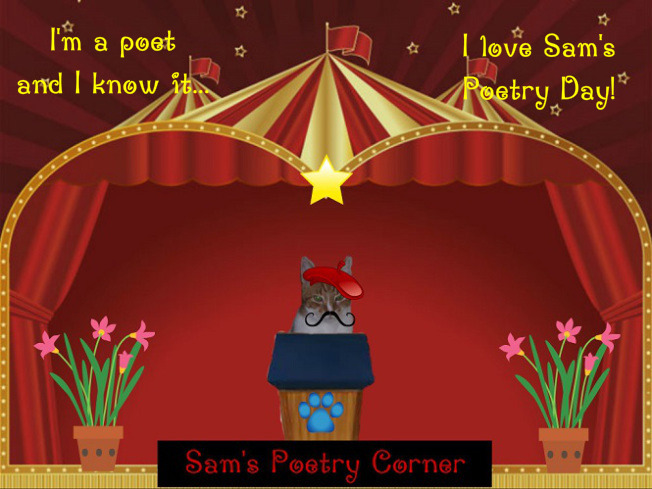 Here is my poem for Sammy’s Poetry Day based on this photo prompt. Why don’t you go play with a cat? 3. I’m notorious for _________. Hi everyone! Please don’t tell Penny that today is supposed to be her day to post. Today we are focusing on the letter H in the A-Z Blogging Challenge. 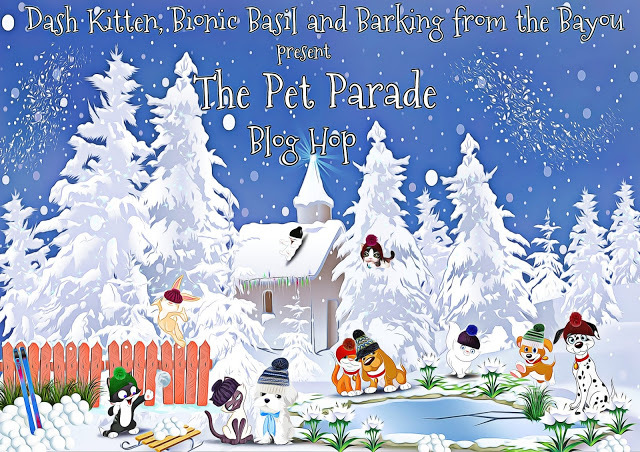 To see more blogs participating in the A-Z hop, click here. Trouble wanted to try a different hat/ears. 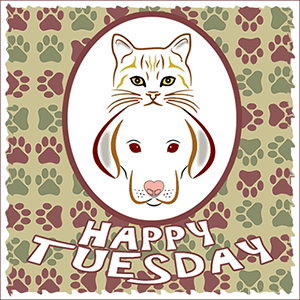 We are joining Comedy Plus’ Happy Tuesday Blog Hop. We also want to wish our friend Marg of Marg’s Animals a very Happy Birthday!!! Hi everyone! 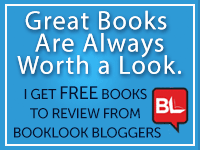 Today is already G day for The A-Z Blogging Challenge. My money-saving tip for today is Groupon. It is free to sign up, you just need an email and a password. You can find discounts on everything , but right now I am focusing on cat things. I typed the word cat in the search engine and 7 pages of groupons appeared.